Wow! What a concert!!! 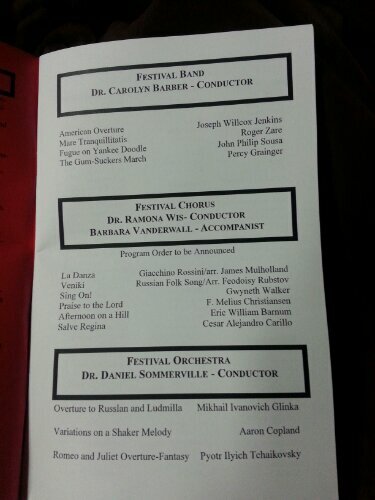 These are the top musicians in Illinois District 9 high schools, some of the best in the state. I’m so grateful that my nephew, Philip Buhrke, sang in the chorus so I got to experience them and the band and the Orchestra. Wow! 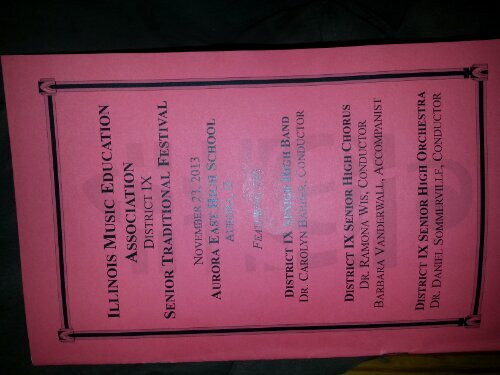 It brings back many memories of my music days in high school in LeRoy, IL and Concordia College in River Forest, IL. I’m grateful my sister-in-laws parents were here to hear and support Philip. My parents were at all of my performances and I feel them here, in spirit, for him today. It was 2 years ago this weekend I was back in Illinois supporting my mom on a different journey; one called hospice. And my last trip to Illinois in August of this year was for the funeral of my dear friend Norma who made it to 92. I am so grateful for all of my family’s and friends’ support during my music days. All the different choirs, musicals, plays and Madrigal dinners in high school. Then it was choir and Foresters while in college. Then various church and community choirs since then. And now Sound of Light Choir at Spiritual Living Center of Atlanta. Maybe it’s time to step it up a notch and get back into my music even more. Support the arts, especially music, in our schools. If music be the food of Love, Sing On. Feel Peace . . . And BE The Transformer.